CD OUT NOW ON CLEAN FEED RECORDS. CLICK HERE TO BUY! Saxophonist and flautist Julie Kjær’s edgy and thoughtfull playing and ‘dark, otherworldly imagery’ (Jazzwise) has become incerasingly evident around Europe, inhabiting ground between composition and free improv. Great to play with Thurston Moore last Friday at 100 yrs gallery. Thanks to José Cardoso for the photo and thanks to all the lovely audience who turned up! Jeppe Zeeberg and me at Danish Music Awards Jazz at Bremen Teater, Copenhagen 4th Dec. Thanks for a lovely evening and thanks to Kristoffer Juel Poulsen for the photo. Click here to see and hear our performance. Very honoured and happy to have been commissioned to write a piece for this years Huddersfield Contemporary Music Festival – in a co-comission with the Danish festival G((o))ng tomorrow. Thank you so much to Koda, Augustinus Fonden, JazzDanmark, Danish Arts Foundation, Danish Musicians Union, Cph. Jazzhouse and Snyk for supporting the recent Japan tour with my trio! Without your help I couldn’t have made it work. Super happy and excited to be playing with two amazing musicians; Michiyo Yagi and Noritaka Tanaka on Thursday at Pit Inn in Tokyo. 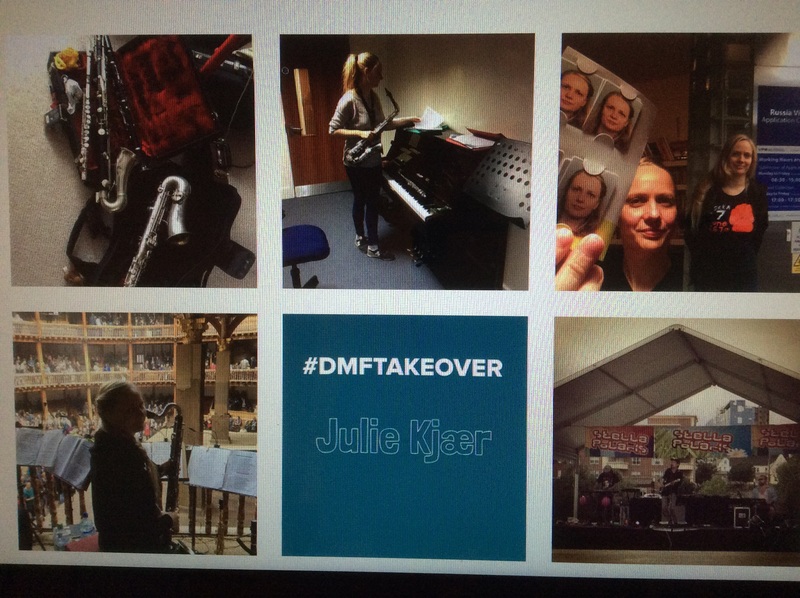 Julie Kjær 3 spring tour dates kicks off on friday at Club Manufaktur in Schorndorf. Concerts in Germany, Switzerland, Japan & UK. See full tour plan here. Buy tickets for Fridays concert here. Really looking forward to premiering new music freshly composed for ‘Lume Lab’ tomorrow night at I’klectic in London. Music for 4 double basses and bass clarinet. To buy tickets click here. The lineup for ‘Opposite Music – Denmark meets Japan’ – Copenhagen Jazzhouse exchange with Super Deluxe in Tokyo, has recently been announced. I’m very happy that my trio Julie Kjær 3 is going to be a part of this great and exciting project. To read more about the project click here. On top of that we’re going to tour Japan for a week. Yay! Thanks to Snyk, Cph. Jazzhouse and JazzDenmark! Very honoured and happy that my trio album with Steve and John has been selected as debut of the year by The New York City Jazz Record amongst other great albums!!! Thanks to John Edwards, Steve Noble, Alex Ward & Pedro Costa for all the hard work! Very happy to be releasing a live recording (digitally) on OTOROKU – Cafe Oto’s own label -from a concert at Cafe Oto from last year with my trio with John Edwards and Steve Noble. To buy and download click here. ‘Female musicians on the London improv scene’ is an online exhibition I’m curating on the Google Cultural Institute in collaboration with Sound and Music. It has just been launched and I’m really excited. 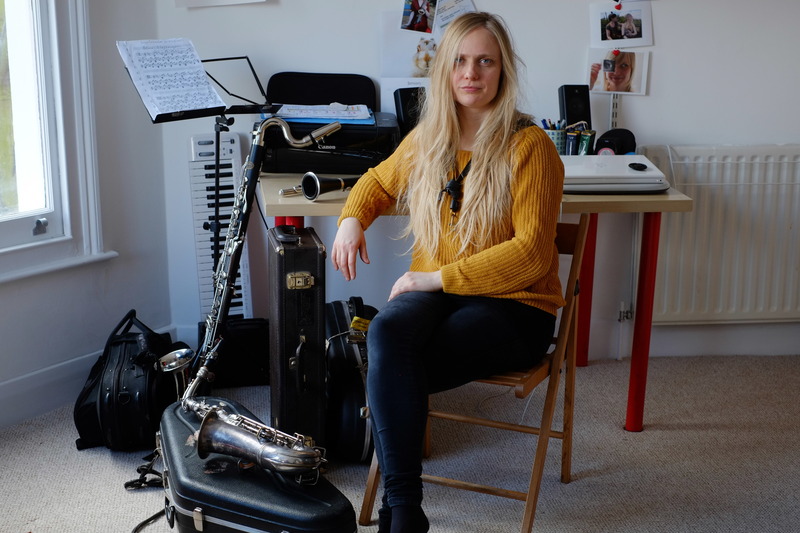 I’ve been interviewing 10 lovely musicians about their music, work, career and about improvised music. To see the exhibition click here. During the next 5 month Sound and Music will also bring the interviews as ‘Spotlight’ articles on the British Music Collections website. 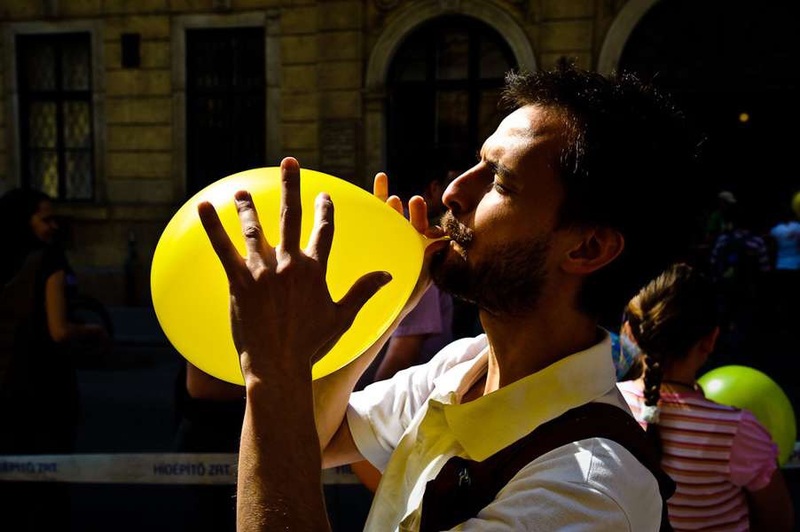 Find the separate articles here. Lovely interview by Johan Jakobsen in the Swedish Jazzmagazine Orkester Journalen. Had a great concert with my trio with John Edwards and Steve Noble at Copenhagen Jazzhouse last week celebrating our new release. Here as bit of video filmed by Jazzpeter. Enjoy! Wahooo…cds has arrived. Julie Kjær 3 ‘Dobbeltgænger’. Thanks to John Edwards, Steve Noble, Alex Ward, Pedro Costa at Clean Feed, Travassos for great design and Sound and Music for support!! Release date coming soon. Very happy to announce that the debut cd “Dobbeltgænger” with my trio Julie Kjær 3 with John Edwards and Steve Noble will be released on Clean Feed beginning of March. We will celebrate this with a album launch concert at Cafe Oto on 28th March. Looking forward to playing a solo set tonight at Jazz in the round at the Cockpit Theatre. Later on you can tune into BBC Jazz on 3 (at 11pm) to hear a brief interview about my music and after that a set with my trio with John Edwards and Steve Noble recorded at Adventures in Sound at the London Jazzfest. Listen to the music the next 30 day here. Great paintings by Gina Southgate of the concerts last week at the Cockpit, BBC Jazz on 3-Adventures in Sound. Here’s a painting of Gerry Hemingway and me playing a duo set. See all of the paintings here. Really looking forward to playing with my trio, Kjær 3, with John Edwards and Steve Noble this afternoon at BBC Jazz on 3 Adventures in sound at the Cockpit theatre. Tomorrow is the kick off of the 3rd and last tour of the year with Paal Nilssen-Love and Large Unit From 27th Oct. to 8th Nov. This time Europe and Russia. Great flyers for the Moscow concert. 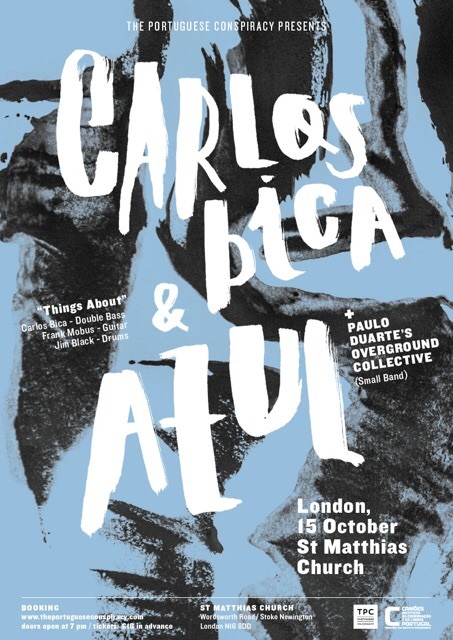 Will be warming up for Carlos Bica & Azul (w. Frank Mobus & Jim Black) with Paulo Duarte’s Overground Collective (small band) at The Portuguese Conspiracy’s event in St Matthias Church, London on 15th October. Tonight! Oresteia press night at Shakespeares Globe Theatre. I’m really happy to be a part of this play. 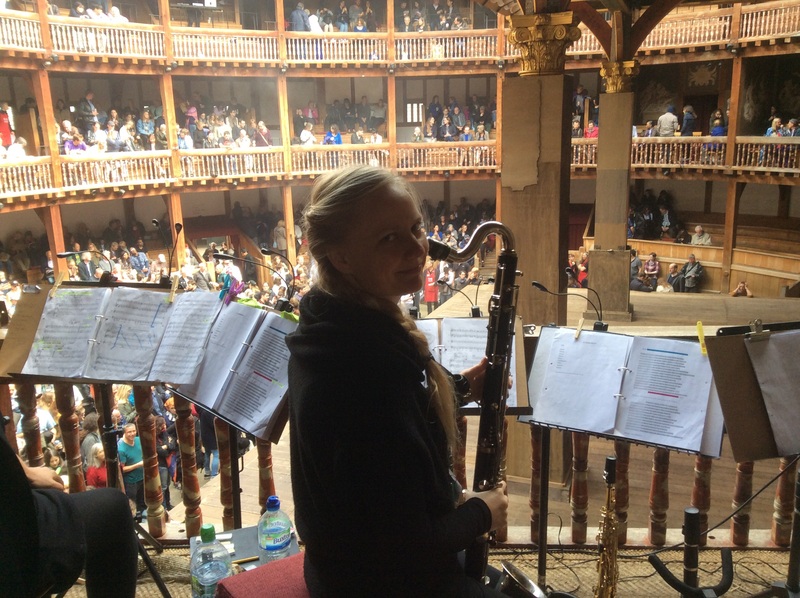 It’s a great experience and I get to play bass clarinet, clarinet and soprano sax. 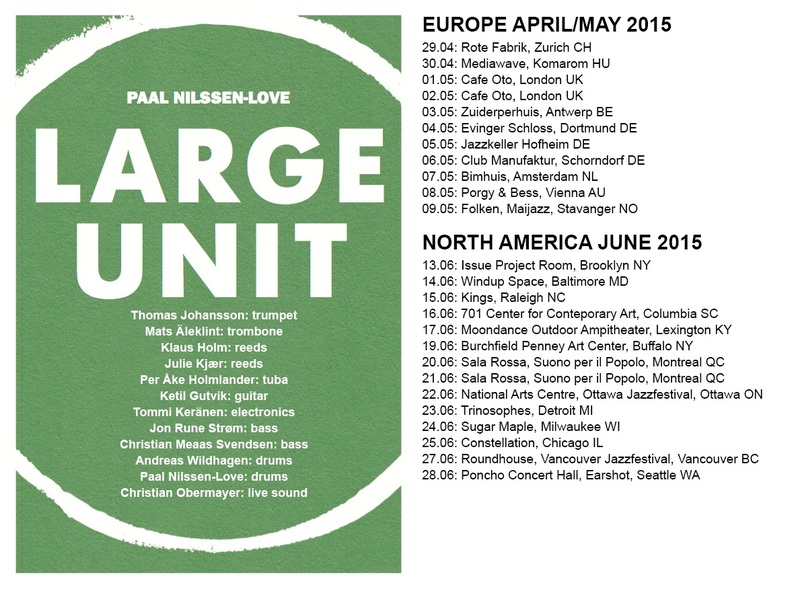 Very excited about going on North America tour with Paal Nilssen-Love and Large Unit for the next 2 1/2 weeks. Check our tour schedule for the different cities we’re going to visit. 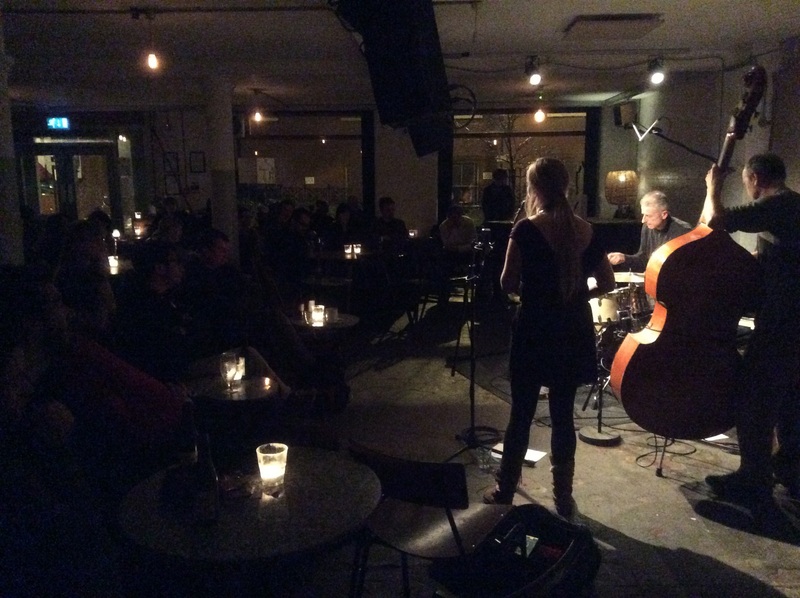 Lovely concert at Cafe Oto on Monday with my trio, Kjær3, followed by a great recording the day after. Thanks to everybody who came to the concert and to John and Steve for their great playing. 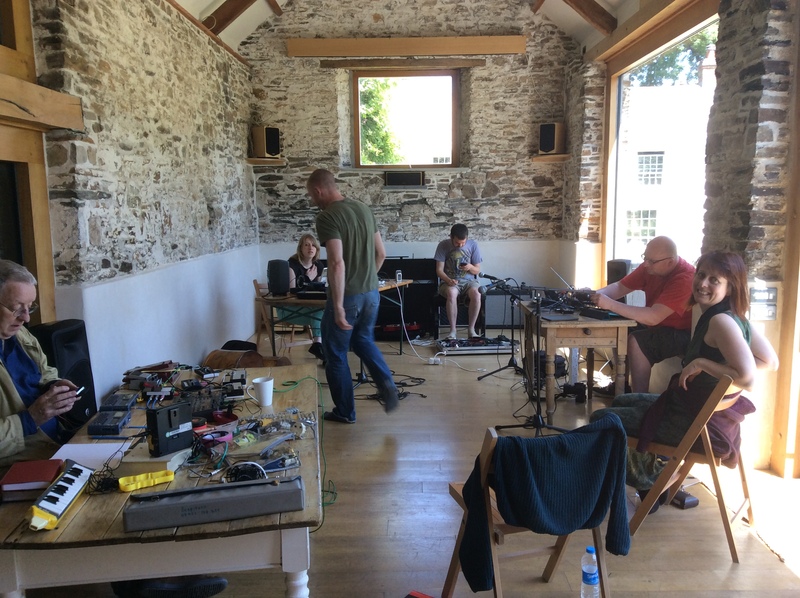 Having a great time in Cornwall at Wooda Farm playing and discussing improvised music with Steve beresford, Rachel Musson, Shaun Blezard, Anton Hunter, Shelly Knotts and Seth Bennet. Thanks to Sound and Music and Gary and Max. Tonight we’ll be playing a concert here at the farm and tomorrow we head for London to play at Mopomoso at Vortex 8pm. Looking forward to playing in Brussels and Gent this week with Audrey Lauro, Hugo Antunes and Jacob Warmenbool. Tues 27th Paradis//Nuits du Beau Tas, Wed 28th Hot Club Gent and Thurs 29th Les Ateliers Mommen. I’m really happy to be chosen to be a Sound and Music ‘New Voice’. As a part of the program I will go on a residency with 5 other improvisers to Wooda Farm in Cornwall in June and play a lot of music. Steve Beresford will be our mentor. We’ve already had a residency there in February and it’s great! For link to the presentation page click here. 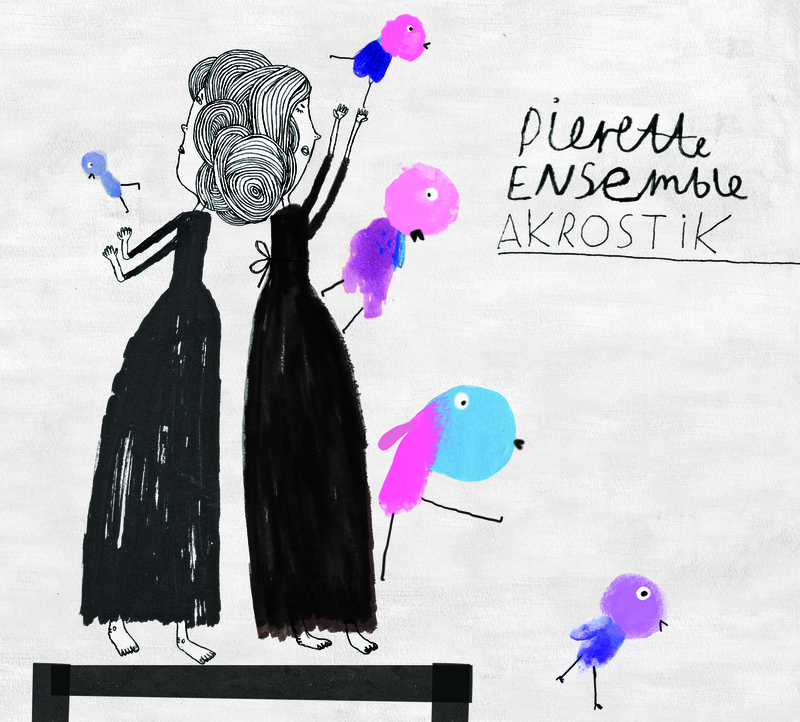 Pierette Ensembles debut cd ‘Akrostik’ is released today!! Lovely artwork by Kamila Slocinska. Have a listen. To buy it go to itunes store or Amazon or send an email. 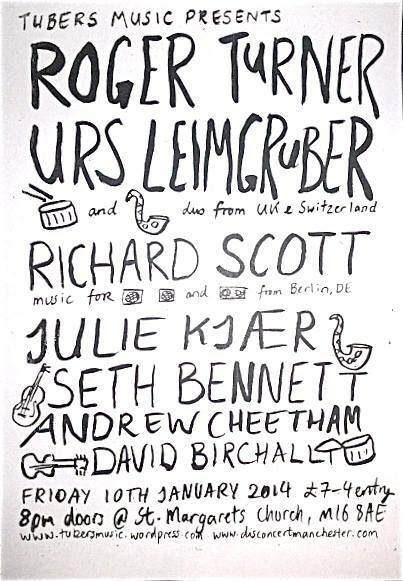 On Friday 10th January I’ll be playing with this great lineup in Manchester. Tubers Music-FB Event. 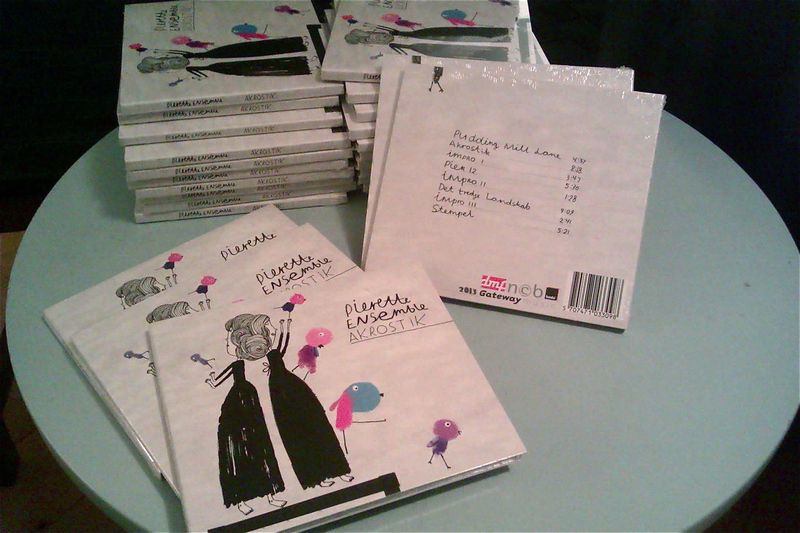 Pierette Ensemble cd’s has arrived, with lovely artwork by Kamila Slocinska. Release early spring 2014.